Released in the US in the second half of 2017 for $799, the unlocked LG G6+ is now $200 off - thus, you can buy it for just $599.99. This is the official North American variant of the G6+, coming with US warranty and being compatible with Verizon, AT&T, and T-Mobile. In case you're wondering, this is not the Amazon Prime version of the phone (which has Amazon ads and offers on the lockscreen), so it's offering a clean user experience. 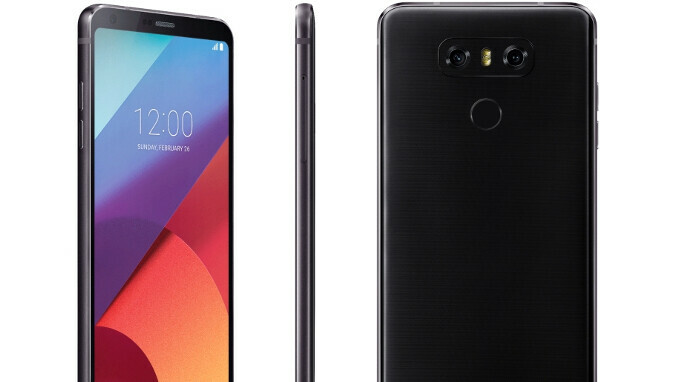 The G6+ is an upgraded LG G6 (available since early 2017), featuring 128 GB of storage space and coming with a pair of premium LG QuadPlay headphones in the box. The smartphone is currently running Android 7 Nougat, but an update to Android 8 Oreo should be launched soon. At the moment, you can get the LG G6+ for $599 only from B&H - an authorized LG retailer - via the source link below. Until an LG G7 arrives, the G6+ remains one of the best LG phones on the market, alongside the larger (and more expensive) V30. Let’s me know when deal is go for $200, not $200off. Enjoying my G6 on T-Mobile for several months. Great all around device. Why would anyone do that when he can get a OnePlus 5T for less, which is a more powerful device? 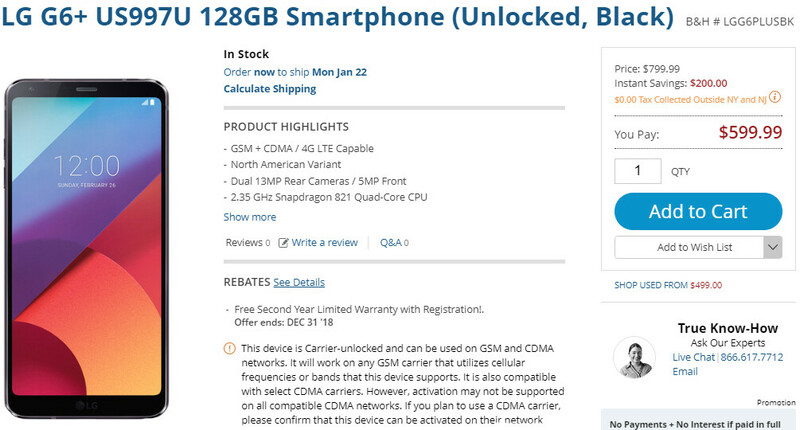 I like the G6, but the 128GB variant isn't worth $200 more than the standard 32GB variant.